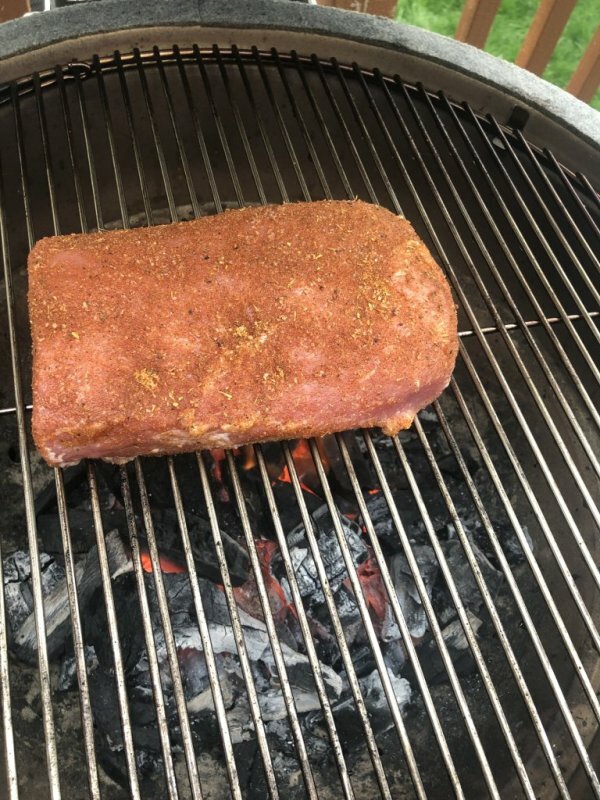 I grilled a pork roast “raised direct” over a small hot fire at 375 degrees. 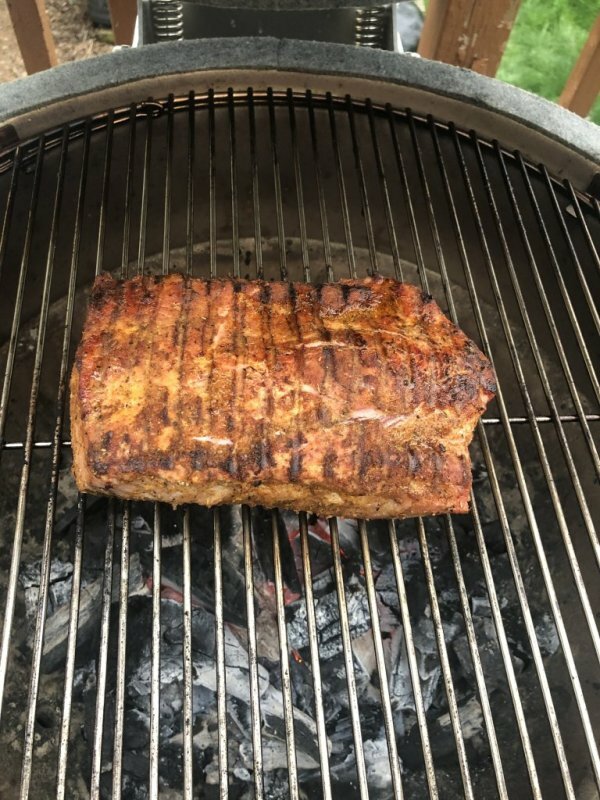 I love this technique because it imparts a great grilled flavor, vs the smoked flavor of an indirect cook. Both are great, but different flavor profiles. 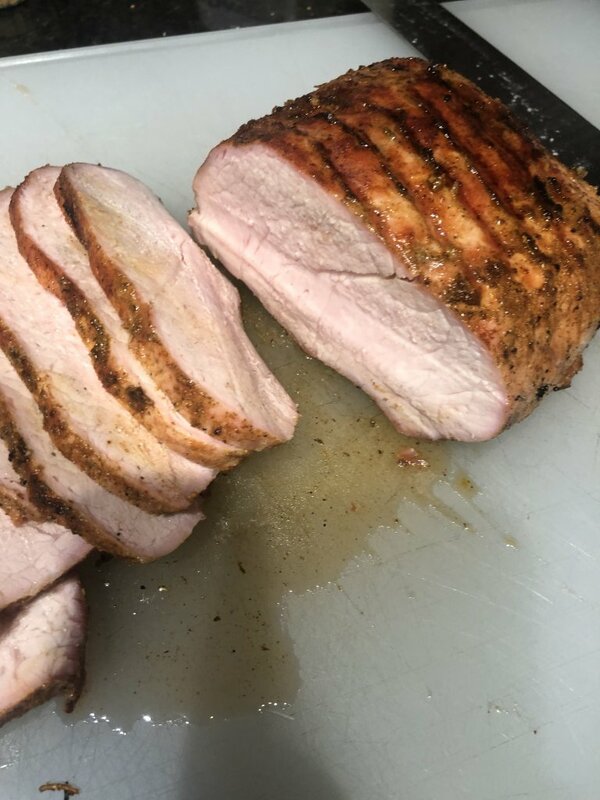 I dry brined the pork loin for 24 hours and rubbed it with Dizzy Pig Mediterraneanish. Grilled 15 minutes per side for a total cook time of 30 minutes. I pulled it at 125 degrees internal and it rested up to 147! 22 degrees of carryover?!? It still turned out very juicy and was super flavorful. Get you some Dizzy Pig rubs. 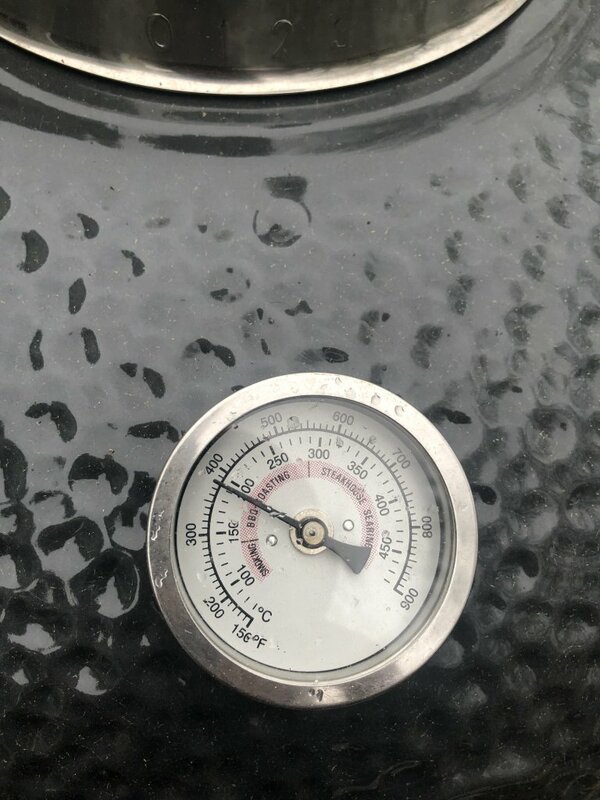 @Shenkbri Moving this post to the Kamado Cooking forum since this post is not about a specific kamado grill or technique. Ok. Thanks John. Newbie. Learning the ropes of this great site.